Google launched its brand new Google Inbox service this week, and the app just became available through Google's Chrome web store - to users who have already received invites, at least. Inbox is Google's attempt to combine Gmail and Google Now and defeat email clutter once and for all. It's been available for two days on iOS and Android, as well as in browsers, but today marks the launch of the official Google Inbox web app. The web app itself is pretty minimal, apparently acting as little more than a bookmark to take you to the existing site, but there's no telling how it will change as Inbox evolves. Currently the service groups emails by category, automatically highlights relevant info within messages, and tracks things like reminders, appointments, flights, and more. 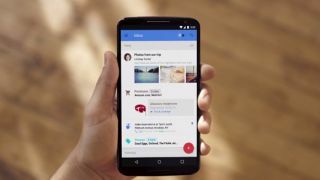 In TechRadar's hands-on time with Google Inbox, we noted that it's "a lovely service" that still has plenty of growing to do. Inbox users today received the ability to invite their friends to use it, according to Slashgear, so start hitting up your homies if you want in to.